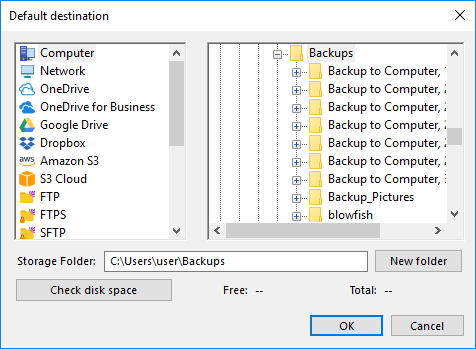 When creating a new backup task, you need to select destination where to store the data (see Select Destination for more details). Having a default destination lets you create new tasks much faster. Click Change. 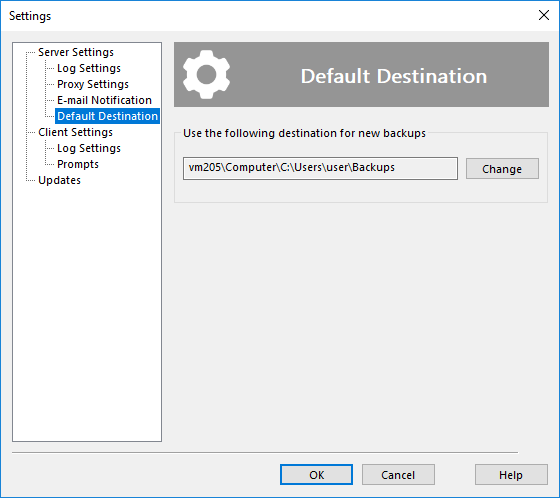 The Default Destination dialog opens. In the Storage Destinations pane to the left, select a plug-in. The list of folders appears in the Folder Selection pane to the right. In the Folder Selection pane, browse for a target folder. If you need to create a new folder, click the Create folder button. When selected a folder, click OK.